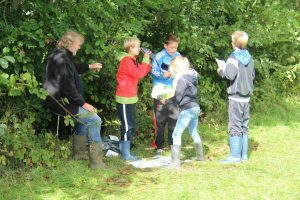 From territories to policy: Peasant agroecology in the Netherlands – Cultivate! In a context of highly industrialised agriculture, peasants in the northern part of the Netherlands are constructing agroecological alternatives that strengthen their territories. These territories have grown into bastions that fuel further scaling and institutionalisation of agroecology. The advent of industrial agriculture and centralised environmental management has put considerable pressure on European farmers, and many are disappearing as a result. After World War II, European policy and science was oriented towards industrialising agriculture by pushing for farm growth, mono-cropping and the use of both chemical fertilisers and imported animal feed. When groundwater pollution and acid rain plagued many parts of the continent in the 1980s, it was evident that industrialisation came at a price. In response, the European Union adopted directives to reduce the emission of ammonia and protect natural areas. Peasants in the Northern Frisian Woodlands, an area in the north of the Netherlands, did not want to have to expand the size of their farms. It went against their ways of life in small scale dairy farms composed of small fields separated by, and producing in harmony with, surrounding ponds, hedgerows and embankments of alder, oak and bush. Furthermore, when following the European directives, a new environmental law declared all hedges as ‘acid sensitive’ in the 1980s and put severe limitations on the type of agricultural activities that could be carried out near them, peasants in the Northern Frisian Woodlands came together to protest against these regulations. They were able to convince municipal and provincial authorities that their way of farming actually helped conserve rather than damage these hedges. In exchange for a commitment to maintain the hedges, ponds, alder rows and sandy roads that enriched their landscape, they were exempted from the new regulations. This was only the first of many challenges. The increasing pressure to intensify production and produce cheaply for the market, combined with stricter environmental regulations threatened peasant territories which had always combined nature and agriculture. The peasants of the North Frisian Woodlands did not stay idle but responded to these challenges by founding their first territorial cooperatives. 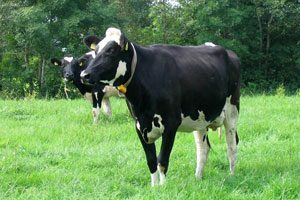 Others followed, and in 2002 all territorial cooperatives in the region joined in the overarching Northern Frisian Woodlands (NFW) territorial umbrella cooperative which currently has a total membership of more than a 1000 dairy farmers. The cooperatives sought not only to address new threats but to create agroecological alternatives that strengthened their territory. They did this at the farm level and the landscape (or territorial) level. From there, they influenced changes in the wider political-institutional environment that allowed for the further spread and acceptance of peasant agroecology, up until the level of European policy. To create alternatives at the farm level, farmers distanced themselves from dominant technologies and policies by rejecting prescriptions from agronomists, veterinaries and farmer advisory services for feeding animals, applying chemical fertilisers, assessing animal health, and managing grasslands. Instead, they experimented with agroecological practices that maximised the use of farm and territorial resources. For example, peasants faced a new regulation to reduce ammonia emissions which prohibited the spreading of manure on the land, as the peasants had always done, and required injecting it into the soil instead. Peasants in the Northern Frisian Woodlands considered this injection inappropriate for their way of farming. For one, the machinery for slurry injection was expensive and their fields were too small and wet for these heavy machines. But even more importantly, peasants also knew that the injection of slurry would lead to greater leaching of nutrients in the groundwater and that it would kill soil life. They were able to convince government that they could develop better solutions to reduce nitrogen leaching by developing a different farming model through integrating environmental management. In 1995 the cooperative was exempted from the injection regulation and granted the status of an “experiment”. In 1998 researchers from Wageningen University joined the experiment. The NFW distanced themselves from conventional ways of doing research and instead developed farmer driven methods of innovation. Using innovative action research approaches, field experiments were carried out with over 60 farmers and with researchers from different disciplines (see box 1). From these experiments, a new approach emerged: kringlooplandbouw, an agroecological mode of farming which can be translated as ‘closed-cycle farming’. Closed cycle farming seeks to maximise the use and quality of farm and territorial resources. To improve the quality of their manure, peasants began to grow more fibrous feed for their cattle including a diversity of grasses and herbs. They fed their cattle less soy and other high protein imported feed. This contributed to the health of the cow as well as to higher quality manure. Before application on the soil, the manure was mixed with straw. These and other changes (see table) not only reduced nitrogen leaching but also improved the quality of both the milk and the soil while reducing expenses of chemical fertilizers and cattle health care. Soil health Use of light machinery; less ploughing; direct sowing in the sod; feeding the fungi and bacteria in the soil with more carbon and less nitrogen Less compaction, more organic matter, more soil life; prevent mineralisation of organic matter, loss of nitrates and emission of CO2. At the landscape level, territorial cooperatives challenged the historical antagonism between agriculture and nature conservation that was, and in many cases still is, deeply ingrained in governments, policies and laws by forming unique alliances with nature conservation organisations. These new alliances managed to convince the provincial authorities to remove legislation that excluded agriculture as a landscape and nature management activity. Together with local government, they developed an ecological, landscape management plan that combined agriculture with nature conservation. Currently, around 80 percent of the natural landscape of the area is managed by the cooperative. This includes 1,650km of wooded belts, 400 ponds, and 6,900 ha of common areas that host meadow birds and 4,000 ha that host geese. 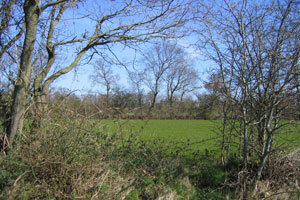 As a result, the area has grown richer in biodiversity and the landscape has become more attractive. The NFW cooperative has taken advantage of the opportunity to promote tourism in the area, re-opening ancient trails for cycling and walking. The farmers’ territorial cooperatives challenged the historical antagonism between agriculture and nature conservation. For a long time the idea of farmers managing landscapes was ignored or marginalised by policy makers and mainstream farmer organisations. This changed once closed loop farming and farmer-managed landscapes in the Northern Frisian Woodlands gained recognition. Due to their success, new territorial cooperatives began to emerge all over the Netherlands, large projects on closed-loop farming were set up in various provinces and 5% of all dairy farms in the Netherlands became closed-loop. Furthermore, territorial cooperatives and their allies managed to transform aspects of the wider political-institutional environment of agriculture in the Netherlands. Advisory services and veterinarians now recommend the inclusion of more fibre in feed and dairy processors now recognise that closed-cycle farms produce higher quality milk. Researchers support pioneering farmers more than before, and certain provinces (and the European Union) now recognise that agriculture does not necessary damage, but may also support environmental conservation. Until recently, European and Dutch subsidies for nature and landscape management were granted only to environmental organisations. Now, new provisions in the 2015 Common Agricultural Policy of the European Union reward collectives of farmers for services that they bring to society, including nature and biodiversity management. These are important strides for the agroecological transition, offering a promising pathway for peasants who cannot, or choose not to, survive in the industrial agricultural sector in the Netherlands. “If you manage the landscape well, biodiversity increases and the farm reaps the benefits. For instance, more grass species positively affect the cows’ health. Careful maintenance of the tree belts attracts more birds, which eat the insects that destroy the roots of the grass clumps. This means we need to use less insecticide. Nature and landscape management thus brings economic advantages to our farms. That is what I have learned in the course of time”. In contrast to the technological fixes and measures developed by agronomists and recommended to farmers, the NFW cooperative adopted different forms of horizontal learning and exchange that give the experience, values and aspirations of farmers a central role. New knowledge is gained and disseminated among farmers through a wide range of methods including excursions to other farms in and outside of the region, and small study groups in which farmers discuss their successes and failures. Another innovation is the NFW’s involvement in farmer-led scientific research. Farmers raise their questions with scientists, carry out research with them on their own farms and discuss the results together, as well as within the broader communities. Much of what is learned in these ‘field laboratories’ builds on traditional, and often ‘tacit’ knowledge. To farmers, regional characteristics, such as belts, hedgerows and embankments of alder trees have always been a self-evident part of their farms. Knowledge about crops and cattle breeds has also been passed down through generations as a base for local agrobiodiversity. The NFW territorial cooperative takes advantage of this wealth of knowledge, revalues it, and spreads it further among other farmers. Leonardo van den Berg (leonardo[at]cultivatecollective.org) is a co-founder of Cultivate!. He is currently also conducting PhD research at the Federal University of Viçosa on the institutionalisation of agroecology in Brazil at multiple levels. This article is based on: Van den Berg, L.; Kieft, H. ; Meekma, A., 2017. 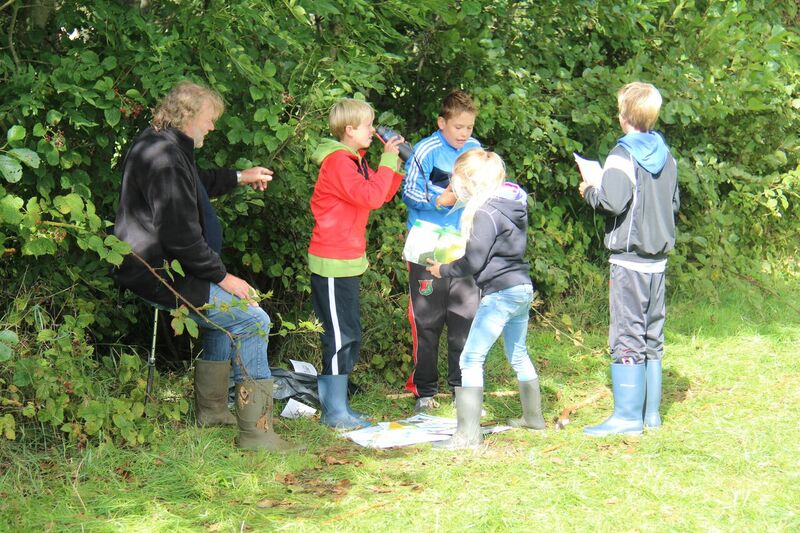 Closed-Loop Farming and Cooperative Innovation in the Northern Frisian Woodlands. In: Steve Brescia. (Org.). ‘Fertile Ground. Scaling agroecology from the ground up’ (Groundswell International/ FoodFirst, 2016).